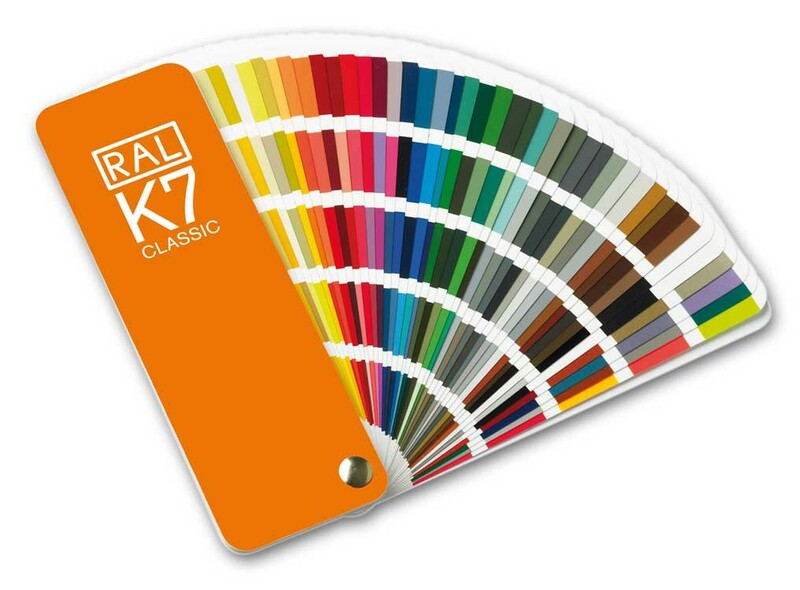 The RAL CLASSIC K7 colour collection has been essential for the precise communication of colours in the paints, chemicals and automotive industry for over 80 years. The, 'RAL' term is the exact same colour everywhere in the world. 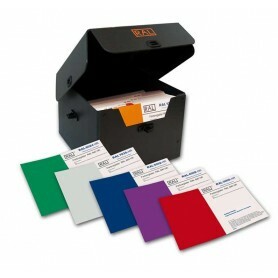 (Now available in India) It has in paper format and is coated with the original RAL colors manufactured in Germany. The shade cards open in the shape of a fan and is easily portable as it is of a perfect handy size. • Fan deck size 5.0 x 15.0 cm compact and perfect size for matching. • Colour illustration 2.0 x 5.0 cm for each of the 213 shades. 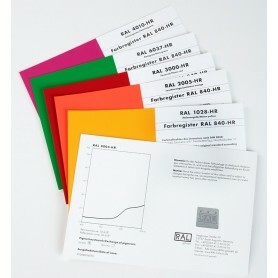 • Five colors on each page of the ral shade card to view the color contrast effectively. • This in a Gloss Color format shade card. 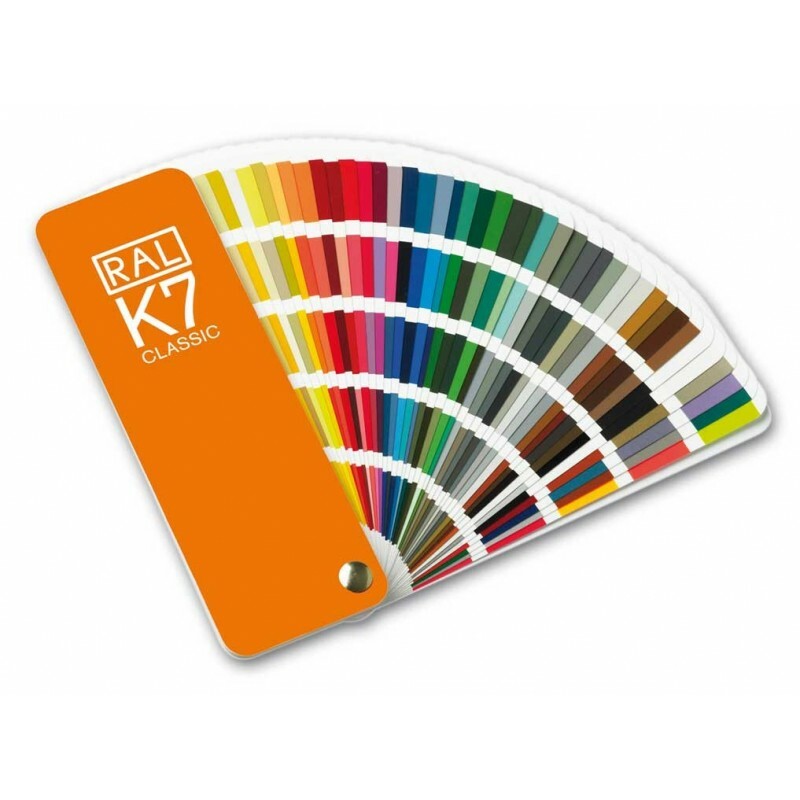 RAL K7 is the most popular RAL colour shade card of all the classic variants in the RAL Classic branch of colors. 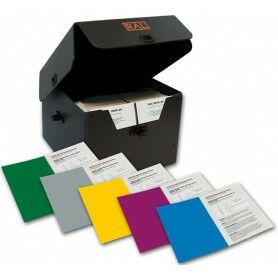 and contains all 213, four digit RAL Classic colours. 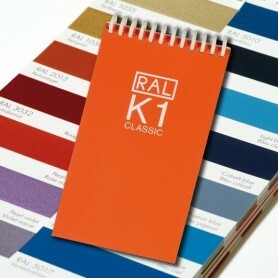 RAL colours are used worldwide. This is an original RAL shade card manufactured in Germany and imported and distributed by Design Info in India. 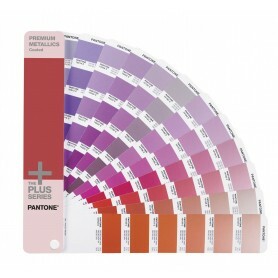 Design Info provides guarantee for the color matching of in the paints and powder coating industry. 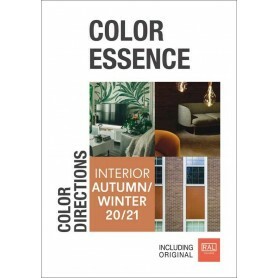 Every page in the shade card contains five colours, making the RAL K7 cost-effective and practical and visually best to present and communicate. Each RAL Classic Colour has descriptive names to support it's 4 digit number, for example: RAL 1005 Honey Yellow. Each colour name has translations in English, French, German, Spanish, Italian and Dutch. All colors have a 4 digit RAL code easily readable on all the pages. All colours have descriptive names written beside the color numbers. Chart size 50x150mm in total as an outer margin. Colour slab size 20x50mm, enough to match small sizes of products. Five colour tabs per page. 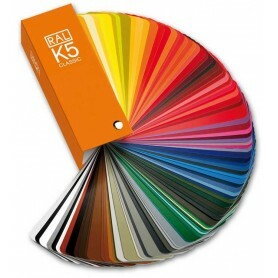 This RAL K7 fan deck shade card is in a Gloss finish. Includes some Metallic and Fluorescent colours. I received all the pieces on time & it was sealed packed. Shall buy this product again. Delivery was fast and got the Ral Colour Chart on time. The RAL K7 Color chart is always maintained in stock by Design Info so that the customers can receive the RAL Color standards on time. Thank you, Kruti. Used this book for chemical colors testing. Has a variety of colors. 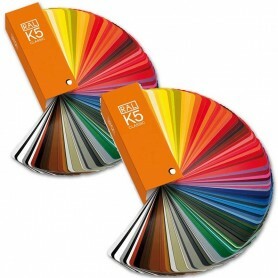 The size of these colors are small and I would have rather purchased the RAL K5 shade card. Namrata, would definitely agree on the fact that RAL K5 has colors represented in a larger format, however the RAL K7 is for beginners who wish to start theri project with a low budget. Received latest chart for paints on time. Rhishi, you can place the order online. It will be shipped same day.